UN declares access to clean water a human right - When will India do so? UN declares access to clean water a human right – When will India do so? A little over 2/3rd of the Earth is covered by water – But how much of it could be tapped by the mankind? Not much. As most of the water available from the sea is highly saline. Basically, water is considered fresh if it contains less than 1000 ppm of salt. Desalinization technologies can be tapped to resolve this issue in areas where fresh water is difficult to come by, but it is still highly expensive. Water provides the Earth with the capacity of supporting life. And, a feeling ably sinks into my heart when somebody says that the only organism that doesn’t understand the importance of water is humans – even after being touted as the most intelligent living being on the Earth. Shame! In a significant landmark resolution, the UN General Assembly has recognized access to clean water and sanitation as a human right. The resolution was passed on Wednesday with 122 votes in favor as against 41 abstainer countries. Water is a basic necessity of life and every country should focus attention on the importance of clean water and promoting the sustainable management of fresh water resources. It goes without saying that India lags distantly behind on this count in providing the right to clean drinking water to its millions of citizens, even after more than six decades of Independence. In my opinion, the availability of safe and clean potable water should be announced as a basic right of citizens as a life sustaining resource. In India, more intriguing issues such as IPL scandal, CWG, politics and terrorism have over-shadowed the basic concepts such as right to safe drinking water. Indians lose more lives on account of unsafe drinking water and related health hazards than any other known epidemic. But, these figures have either gone unnoticed or are rendered untraceable! 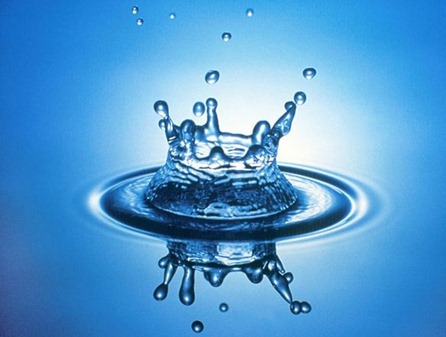 Water comes next only to air in terms of significance to life than any other natural resources. I am not sure why Indian government is not making enough efforts for conservation of surface and ground water, not to mention traditional rain water harvesting measures. The government needs to build appropriate infrastructure to initiate projects for transfer of water from surplus basins to water-deficient areas – if need be, the Centre can also take-up such projects on PPP (Public-Private partnership) basis. It is estimated that about one-sixth of the world’s population does not have access to safe potable water. While in many developed economies, the constant availability of clean water is often taken for granted; the number of people in the world who stay neglected from clean water could quadruple in next 15 years. The impact of human-induced climate change, such as effects on patterns of precipitation and sea-level rise, is also equally worrisome in this aspect. It is needless to say over here that in these times of serious water crisis, it is the developing world which is most vulnerable to the effects of crisis. Water touches the lives of billions of people and there needs to be enhanced clarity on this life-saving resource –What Say? "UN declares access to clean water a human right - When will India do so? ", 5 out of 5 based on 2 ratings. The problem in India is that bureaucratic red-tape has caused the basic necessities of life to be completely neglected…Everyone talks about GDP, Price rise, inflation and blah blah…but about basic food, water, house, clothes etc is all lost in translation! Agreed Aseem… Except for Education, the UPA government haven’t seem to have placed too much emphasis on the basic items of interest to the common public.